This volume, written by a range of scholars in history and literature, offers a new understanding of one of the central cultural and ideological movements among Jews in modern times. Disengaging the Haskalah from the questions of modernization or emancipation that have hitherto dominated the scholarship, the contributors put the Haskalah under a microscope in order to restore detail and texture to the individuals, ideas, and activities that were its makers in the eighteenth and nineteenth centuries. In particular, they replace simple dichotomies with nuanced distinctions, presenting the relationship between ‘tradition’ and Haskalah as a spectrum of closely linked cultural options rather than a fateful choice between old and new or good and evil. The essays address major and minor figures; ask whether there was such an entity as an ‘early Haskalah’, or a Haskalah movement in England, look at key issues such as the relationship of the Haskalah to Orthodoxy and hasidism, and also treat such neglected subjects as the position of women. 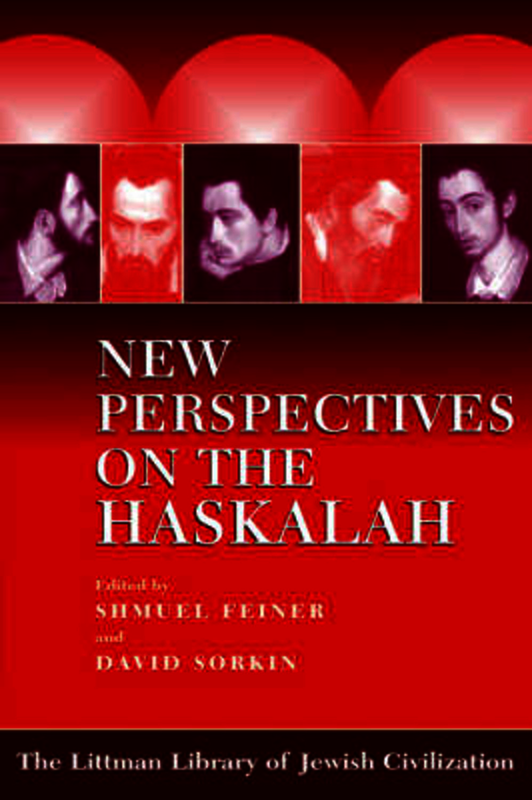 New Perspectives on the Haskalah will interest all students of modern Jewish history, literature, and culture. Shmuel Feiner is Professor of Modern Jewish History at Bar- Ilan University and chairman of the Jerusalem Leo Baeck Institute. He is the author of The Jewish Enlightenment (2004), Moses Mendelssohn, Sage of Modernity (2010), and The Origins of Jewish Secularization in Eighteenth-Century Europe (2011). David Sorkin is Distinguished Professor of History and Jack H. Skirball Director, Center for Jewish Studies, City University of New York Graduate Center. He was formerly Frances and Laurence Weinstein Professor of Jewish Studies and Senior Fellow at the Institute for Research in the Humanities at the University of Wisconsin-Madison. He is the author of The Transformation of German Jewry, 1780-1840 (1987), Moses Mendelssohn and the Religious Enlightenment (1996), and The Berlin Haskalah and German Religious Thought (2000), and is co-editor of Profiles in Diversity: Jews in a Changing Europe, 1750-1870 (1998). He has received grants from the British Academy and the National Endowment for the Humanities. Previously a Fellow of the Oxford Centre for Hebrew and Jewish Studies and St Antony’s College, Oxford, he has been a visiting professor at the Ecole des Hautes Etudes en Sciences Sociales, Paris, and a visiting fellow at the Max Planck Institut für Geschichte, Göttingen.